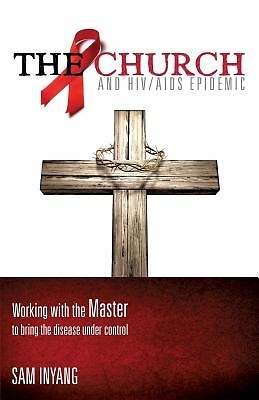 The work is an explicit revelation of how the Church can take its position in the global struggle against HIV/AIDS epidemic. It highlights the spiritual, social and economic potentials of the Church to make impressive contribution to arrest the exploits of HIV/AIDS in human population. The book also presents strategies for Christians and corporate Churches to increase their spiritual energy by connecting the all-knowing, all-powerful and the all-loving God for increased know-how, and operational competence. It promotes the formation of God-Human synergy as necessary requirement for behavioral change, improved care, prospects for cure and general combat effectiveness against the epidemic. Sam Inyang is a prolific Sunday school and Bible Teacher, a Journalist and Public Relations practitioner by training. He attended the Life and Power Bible Academy. In 1991 he met an AIDS patient in Jos University Teaching Hospital, Nigeria, which changed his perception and views about the disease. A year after, he began to raise, train and empower Christian youths from different denominations to challenge the epidemic on personal, family, and immediate community grounds and to establish NGOs and CBOs in rural communities of the South-South region of Nigeria. He believes the solution of the epidemic lies with the Church.